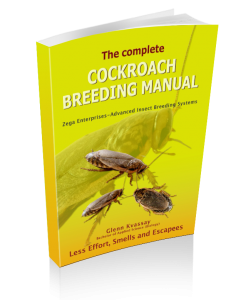 New Low Maintenance Insects Breeding Methods are Now Available!! Breeding Feeder Insects using Painful and Time Consuming Methods are a Thing of the Past!! Fortunately there are new methods that allow you to breed crickets, cockroaches and mealworms with less time and effort than standing in line at your pet store. Best of all they are easy to do…and we have free training courses, videos and articles to show you how. After more than a decade of commercial production and experimentation, Wildlife Hub has pioneered unique insect breeding methods that have slashed maintenance, eliminated odor and greatly increased production. Even crickets which used to be the hardest species to keep, are now one of the easiest!! Click on the Species you Want to Breed!! 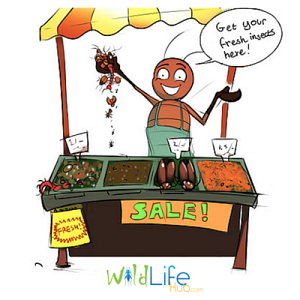 For instance did you know it is now possible to produce $1400/year worth of feeder insects from your scrap kitchen vegetables. Automated and reliable food and water dispensers that feed your insects all by themselves for weeks…even when on holidays. Detritus collection devices which collect waste for you, eliminates odors, reduces disease and improves productivity. Streamlined cleaning and maintenance systems. Clever container design which improves productivity and eliminates pests. Numerous innovations which have overhauled every aspect of feeder insect breeding. At WildLife Hub, we are committed to providing you with the best training with; free articles and training courses; books; videos; and email/Skype support. No matter if you are a beginner or a commercial breeder, we have lots of information to share. 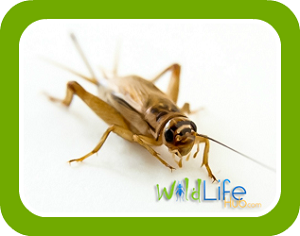 For example, do you know why crickets used to be the hardest species to keep with 98% of people giving up after a few months….yet they are prolific and easy breeders? 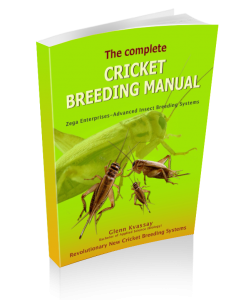 The reason for this is simple….breeding crickets is easy, the hard bit is continuing with a laborious maintenance schedule (daily spraying, moving crickets between 7 different containers, cleaning, feeding etc.). To complete the failure cycle, most colonies then collapse from disease and pests due to lack of maintenance… It’s no wonder people just gave up. Well not any more!!. Our clever design removes all these impediments … no spraying, no moving crickets and no pests. And you only need a single container, not seven like conventional methods. This is just one example, we have also streamlined breeding cockroaches and mealworms. This is a significant development for wildlife enthusiasts who can now breed all three species side by side with ease. Once you get the hang of things, you will probably be wondering why you couldn’t sell excess stock…and trust me they will proliferate. Why not add a few extra containers and turn an expense into income. 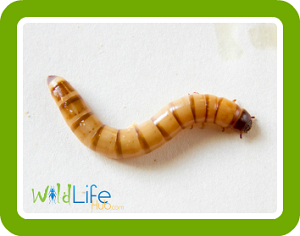 Reptile keepers, zoos and wildlife carers are always looking for healthy feeder insects which are produced locally. The good news for you is you don’t have to spend over a decade in a shed (unlike us) with wasteful experimentation, struggling with pests and messy techniques, to get the benefits of being an independent insect breeder. All the information you need is right here. 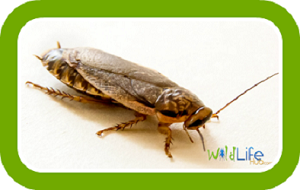 If you would like to learn low maintenance methods which will save you time, money and effort, then check out our free articles and get your cricket or cockroach insect breeding training courses at our WildLife Hub Training Site.